The serious Mac fans out there can’t help but show their fanboy side just every now and then. Well if you are one of those fans then you might enjoy this USB drive. Especially since carrying around this drive means you’ve rescued a little bit of plastic from making it to the nearest landfill. It never hurts to be just a little extra eco-friendly from time to time. 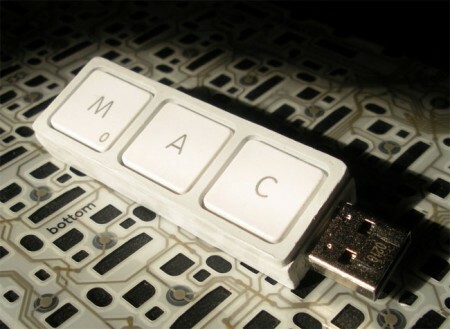 The drive is made by using old recycled keys straight from a MacBook. Within the drive itself is 4GB of storage space for you to transport all of your important files. Beyond that it’s a pretty basic drive. To pick one up it’ll cost you $60 through Etsy, which truthfully is a little steep. At least you’ll get to show off your Mac loving side.